ANTIGONE (2018)—an hour-long, 35mm, twin-projected film featuring Stephen Dillane and poet Anne Carson—is the centerpiece of a new Tacita Dean exhibition at the Serralves Museum in Portugal, which includes the artist’s early cinematic works and her recent large-scale blackboard drawings. Rua D. João de Castro, 210, Porto. Tacita Dean, Antigone, 2018. Courtesy of the artist, Marian Goodman Gallery, New York and Paris, and Frith Street Gallery, London. This entry was posted in ART, FILM and tagged Anne Carson, Antigone (Dean), Serralves Museum of Contemporary Art, Stephen Dillane, Tacita Dean on February 24th, 2019 by Barlo Perry. The exhibition A TIME CAPSULE—WORKS MADE BY WOMEN FOR PARKETT, 1984–2017 will be up through July 21. PARKETT EXHIBITION SPACE, Limmatstrasse 268, Zürich. 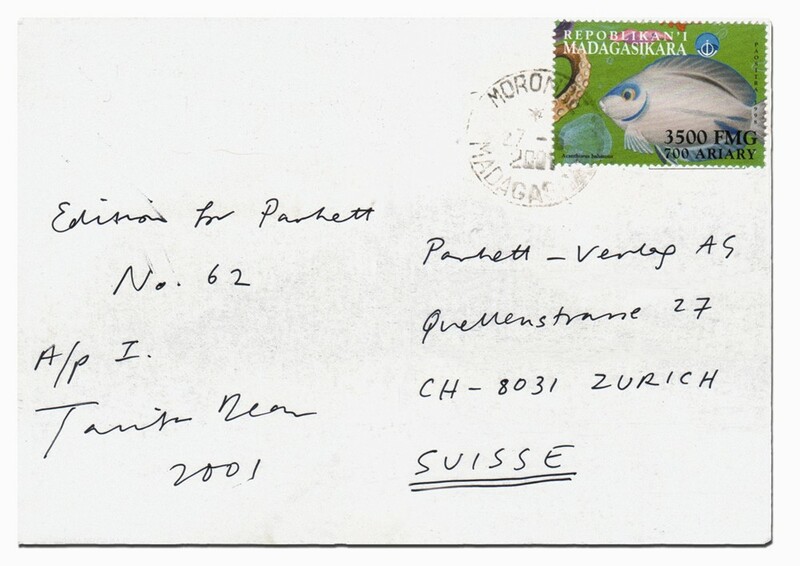 “The Parkett Story,” an interview with Parkett founding editiors Jacqueline Burckhardt and Bice Curiger, will be published in the forthcoming print issue of PARIS LA. 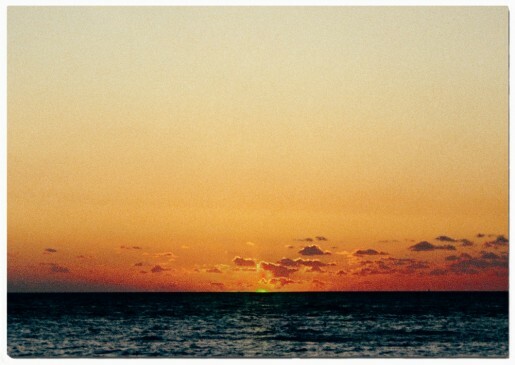 Above: Tacita Dean, The Green Ray, 2001, front and reverse. Edition for Parkett 62. Below: Nairy Baghramian, Maintainers, 2017. Edition for Parkett 100/101. This entry was posted in ART, BOOKS/PERIODICALS, PHOTOGRAPHY and tagged Bice Curiger, Jacqueline Burckhardt, Nairy Baghramian, Parkett, Parkett Exhibition Space, Tacita Dean on July 3rd, 2018 by Barlo Perry. As part of the ongoing Getty Center exhibition HAPPY BIRTHDAY, MR. HOCKNEY, artists Tacita Dean and Ramiro Gomez, physicist Charles Falco, and writer Lawrence Weschler—author of True to Life: Twenty-Five Years of Conversations with David Hockney—get together this week for a conversation about their friend and colleague David Hockney. In addition, Dean will screen her documentary PORTRAITS (2016). HAPPY BIRTHDAY, MR. HOCKNEY, conversation and screening, Tuesday, August 8, at 7 pm. HAPPY BIRTHDAY, MR. HOCKNEY, exhibition, through November 26. 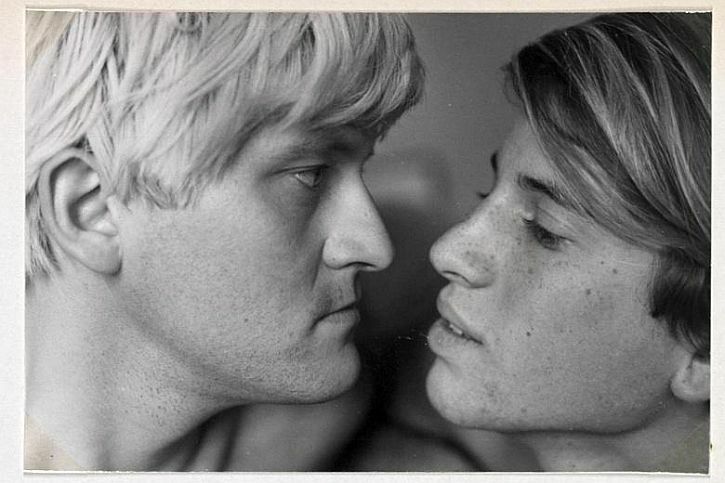 David Hockney and Peter Schlesinger. This entry was posted in ART, CONVERSATION, FILM and tagged Charles Falco, David Hockney, Getty Center, Happy Birthday Mr. Hockney (Getty Center), Lawrence Weschler, Portraits (Dean), Ramiro Gomez, Tacita Dean on August 6th, 2017 by Barlo Perry.